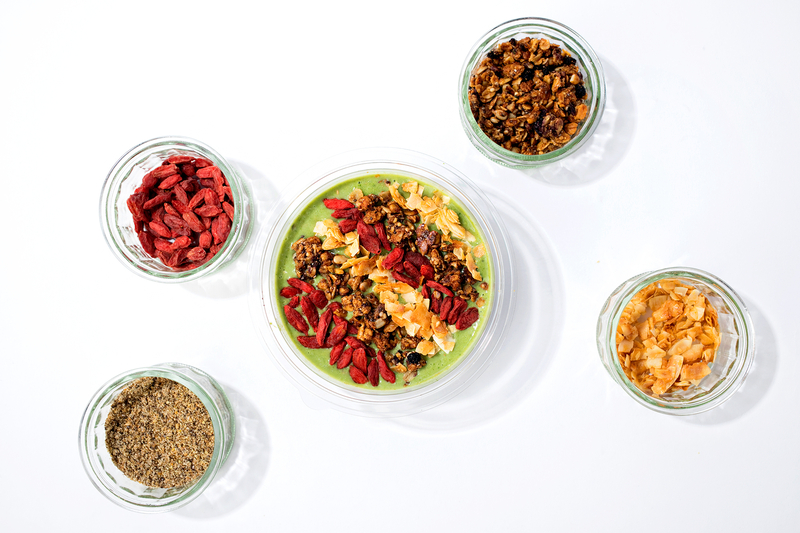 There’s a lot to love about smoothie bowls: They’re quick, customizable and total Instagram gold. What’s harder to embrace is the high sugar content — up to 36 grams in some of the most popular options! That’s why the team at celeb-favorite Juice Press (Amy Adams, Justin Bieber, Bradley Cooper and Zoë Kravitz frequent the East Coast chain) decided to whip up a green option that clocks in at just 210 calories and 14 grams of sugar (sans toppings). “By replacing some of the fruit with a dark, leafy vegetable, the sugar content drops,” the recipe’s creator, Leah Landon, tells Us Weekly exclusively. Landon lobbied for the official menu addition after customers noticed her eating it at one of the shops. Add all ingredients except for toppings to a high-powered blender and mix on high until smooth. 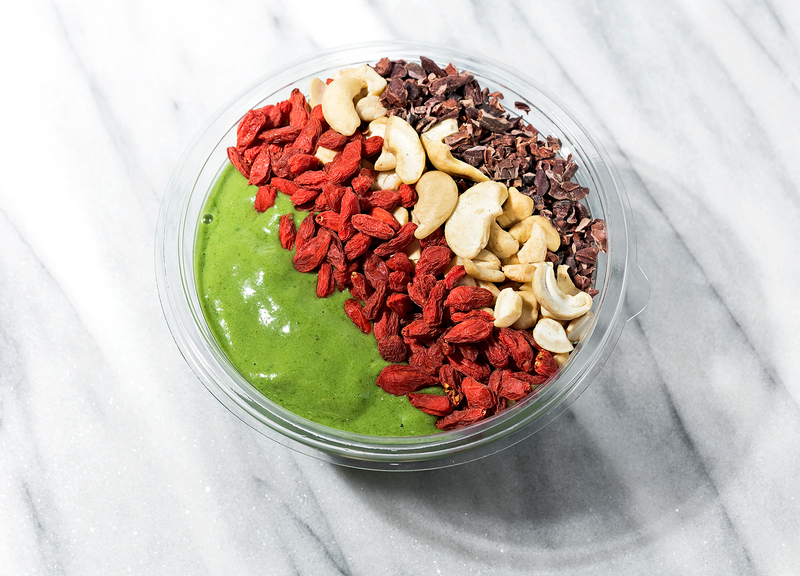 Pour the smoothie into a soup bowl and spoon on your favorite toppings. The greens also fortify the dish with important nutrients, including folate, iron, calcium and vitamins A and K. Smart toppings can also provide key health benefits: Dried goji berries and cacao nibs make for antioxidant-packed flourishes, while simply roasted (preferably unsalted) nuts will give you a protein boost. If you’re watching sugar content, go easy on the fresh fruit or choose options such as blueberries or strawberries.